Bichasdei Hashem, the Tosher Rebbe Shlita, has been released from the hospital, and has been brought back to him home in Kiryas Tosh, YWN has learned. People around the world had been davening for the Rebbe since he was rushed to a Montreal hospital with a respiratory infection as was first reported by YWN. Rav Meshulem Feish Lowy, 88 years old, was admitted to Jewish General Hospital in Montreal on Monday evening, October 18th. A team of doctors and specialists had been flown in from New York by Queens Hatzolah Paramedic, and seasoned pilot Eli Rowe. His condition continued to deteriorate ,and his family was called to his bedside. Last week his condition turned around, and he was Boruch Hashem stabilized. The Rebbe was then released from the hospital in Montreal, and highly credible sources tell YWN exclusively that he was secretly flown to a Manhattan Hospital – where he was being treated until early Sunday morning when he was discharged. The move to and from New York was kept so secret, that his own Chassidim were never aware that he was taken to NYC. He was flown back to his home in Kiryas Tosh, where a team of doctors and nurses will continue to treat him in his home – part of which has been converted into an emergency care facility for the Rebbe. Please continue to be Mispallel for Meshulam Feish ben Tzirel. Next articleU.S. Postal Service on the Verge of Going Broke? 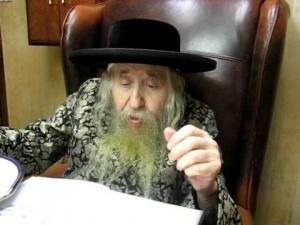 There was a Plan by the Doctors to transfer the Tosh Rabbi toa NY Hospital due to the Canada Doctors arent good & rebbe wasnt improving, but at the End rebbe was NOT transferd because was a to Big Risk to take him in a ICU mobil to NY, rebbe remained a whole time in the jewish genral hospital in montreal. Nice to see how בחדרי חרדים stoled this article from Yeshiva World & wrote that they have the same sources that tosher rebbe was in NY hospital.